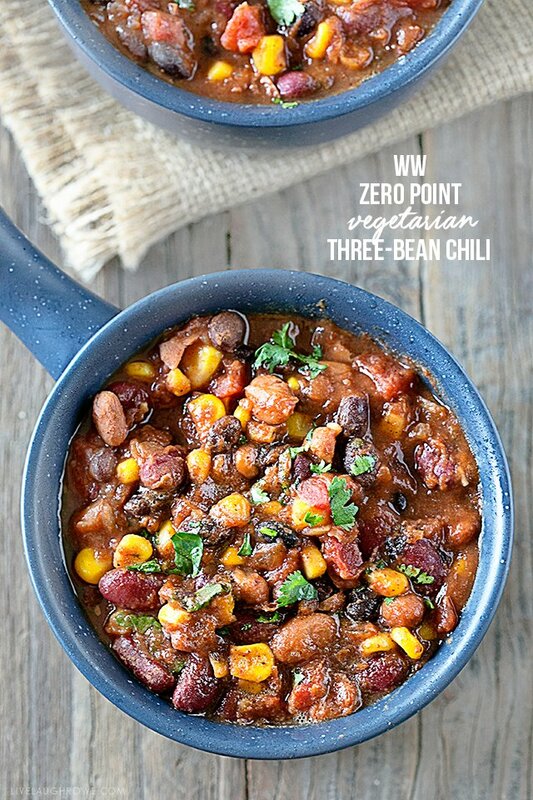 This Three-Bean Weight Watchers Chili is not only a great vegetarian dish, it’s also high in protein and has ZERO SmartPoints on the Freestyle WW program. 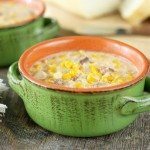 It’s easy to make and can feed a small crowd, so it’s a win-win! 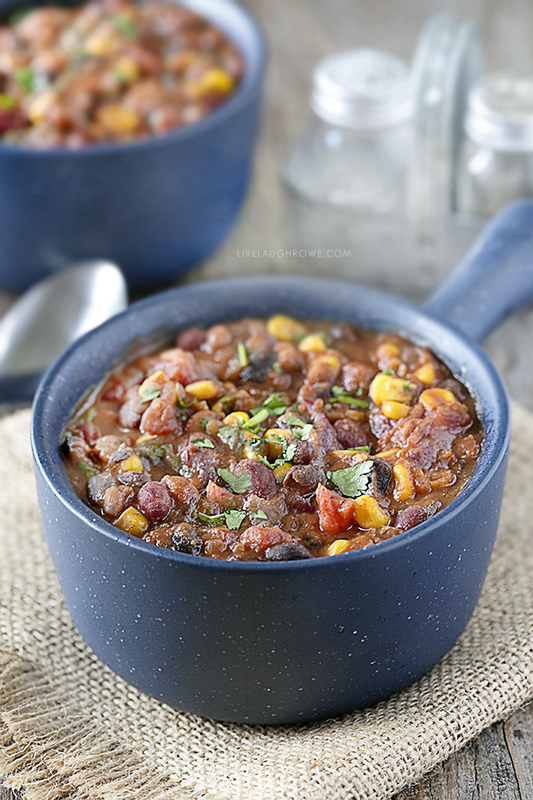 Soups and chili are a fall staple in my home. How about you? 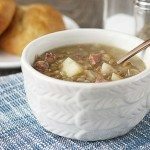 My husband can be a little particular about some of them (they need to be hardy), so I’m always happy to find a recipe that we BOTH can enjoy. And since there’s only two of us, it’s nice to know the leftovers will get eaten too. 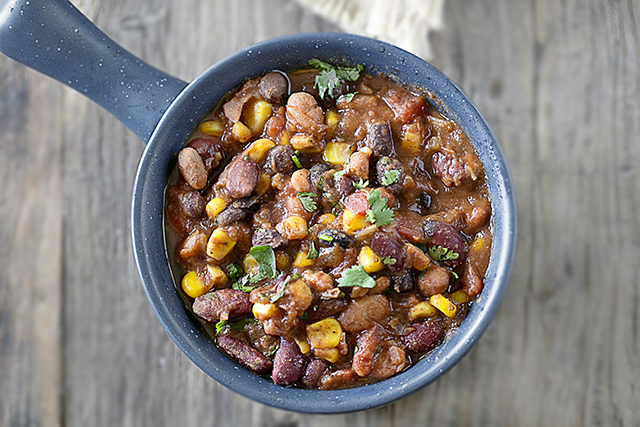 My mom made this Three-Bean Chili a lot during the colder seasons when growing up However, when you’re trying to watch what you eat, you have to be flexible. Soooo, when I saw this recipe, I had to try it. The flavors are AMAZING — the corn and cilantro were a delicious addition. 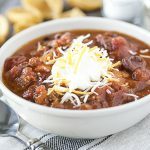 So as the temperatures start to drop, consider adding this Weight Watchers Chili to the weekly meal plan. Most of the ingredients are staples that you might already have in your pantry. Grab that slow cooker and let’s get this party started! 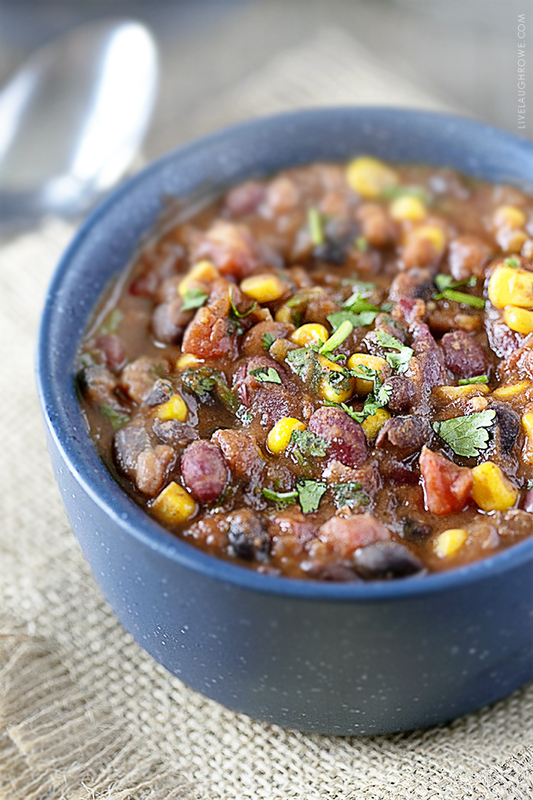 Combine beans, tomatoes, tomato sauce, onion, garlic, and seasoning mix in a 4-quart or larger slow cooker. Stir together. Cover and cook on high for 2-3 hours or on low for 4-6 hours, adding corn during the last hour of cooking. Stir in lime juice and cilantro just before serving. Add additional cilantro for garnish, optional. 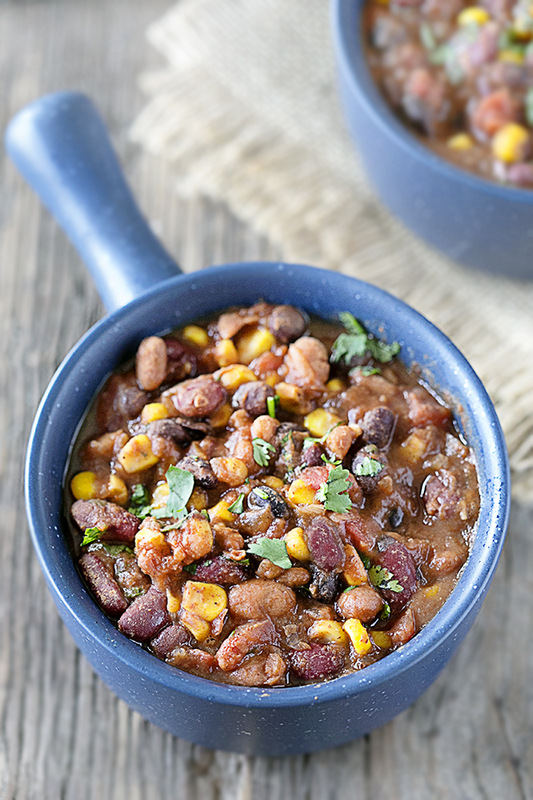 By the way, this chili can be used as a filling in a burrito or taco too! Yum. Hope you enjoy! Hopefully this will get me there! 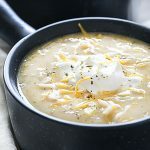 We absolutely love this recipe in my household. I add 99% fat free ground turkey to mine which still makes it 0 points.